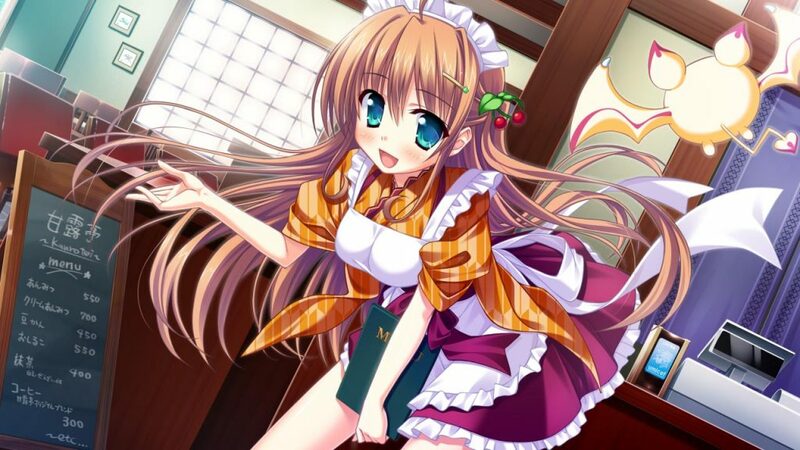 Yuna works at the Honeydew café, a confectionery that specializes in Japanese wagashi. 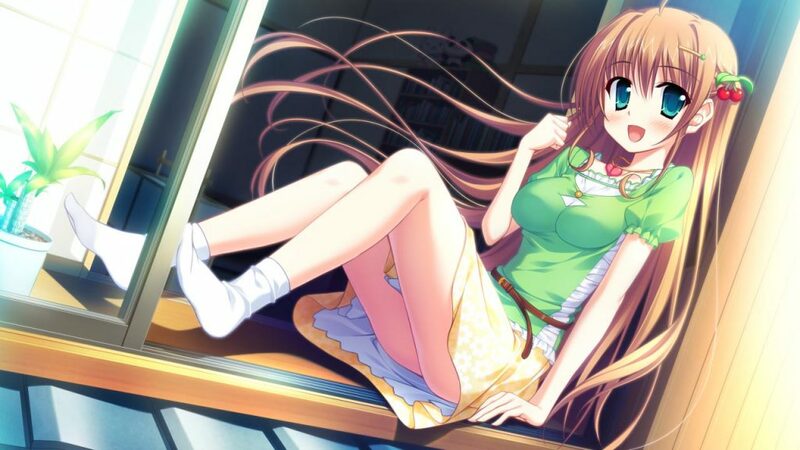 Her father, Shirahase-san, can sometimes be overbearing and strict, but that is only because he wants her to be happy. Yuna worries for her father since he tends to overwork himself, and occasionally drinks heavily to mask the pain from the loss of his wife in a car accident. Eventually, Yuta starts working at the Honeydew café to be closer to Yuna and ease the burden on her father. Yuna’s inferiority complex becomes more pronounced when the otherworldly princess come to the human world. She becomes reserved and compares her looks with the beautiful princesses. Modest to a fault, Yuna appeals to Yuta’s stomach to win him over by cooking cakes and other sweets. Yuta becomes even more smitten with Yuna when she starts wearing makeup and holding her own against the otherworldly princess in terms of beauty. Yuna has been harboring feelings for Yuta ever since he comforted her when her mother passed away. Yet, she has not been able to secure the confidence necessary to confess to him. That all changes when Yuna decides to audition for the idol group AKG128. Yuna’s father is naturally opposed to her decision, since he feels she will not find happiness down that chaotic path. An idol’s world is filled with cutthroat people, and the gentle Yuna will surely find herself outmatched in such an environment. For Yuna, the idol auditions represent an opportunity to live in the moment and overcome her regrets. Her mother’s passing left a dark cloud hovering over her, so taking the initiative will allow her to finally get the confidence she needs to move forward with her life. After Yuna finishes the harrowing idol auditions, Yuta takes the chance to confess to her. A bond forged through time and trust reaches fruition, spurring Yuna and Yuta forward to a brighter future. Although Yuna is still plagued by the guilt over her mom’s passing, she can now share the burden with her beloved and find a ray of light in the overwhelming darkness encroaching upon her heart. Will Yuna be able to make peace with her turbulent past? Yuna’s endearing nature and modest approach to love will melt even the iciest of hearts, and her route ends the game on a positive note that will satisfy readers. The culmination to this turbulent matrimony can be yours if you are willing to take the plunge and meet the heroines inhabiting the colorful world of Magical Marriage Lunatics! 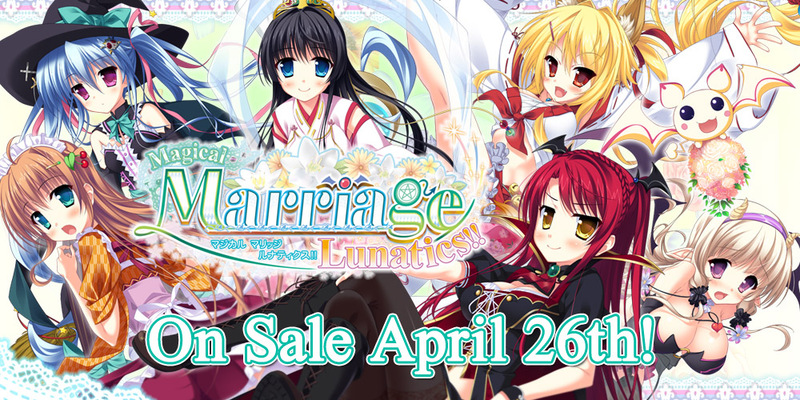 « Magical Marriage Lunatics Character Introductions – Meet Luluna!